The ‘posh’ road bike and my only bike that was bought as a complete item (though I have built my own wheels for it and replaced a fair few bits). I know everyone slags Halfords off, and it was only in 2012 that I realised that when I purchased it in the summer of 2010 they had actually fobbed me off with the 2009 model. In some ways though, I was lucky to actually buy one and had to travel across the Pennines to Huddersfield just to find one in stock. Anyway, once you get past the crap retail outlet, it’s a cracking bike. Compared to my old Specialized Roubaix, it was like upgrading from a family hatchback to a racing car. It’s about 16 lbs and probably better than I am if I’m honest. I’ve done loads of events and about 5000 miles on it. It’ came with a SRAM Force groupset, but following a recent incident it’s got some 2011 Red shifters on, which feel even better. Chapeau Mr Boardman. 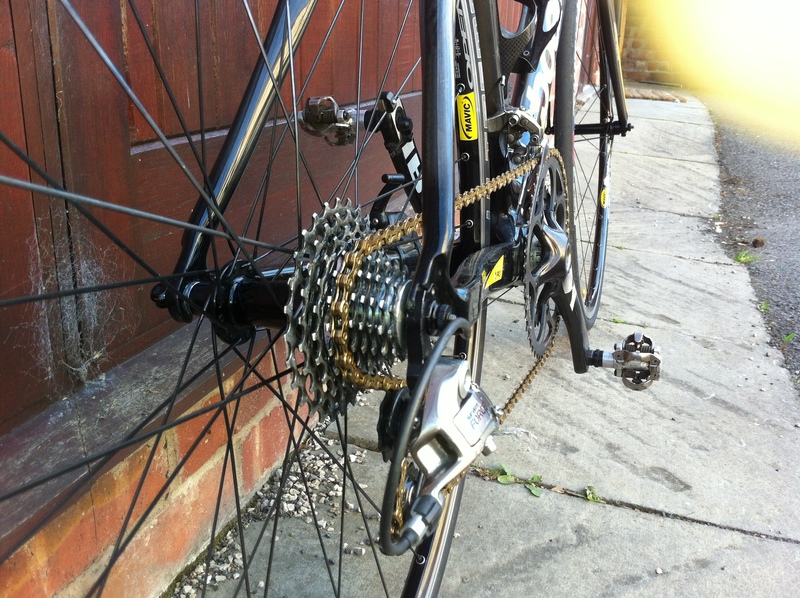 You’ll need an FSA Orbit CF-40, as it’s a Campagnolo fit. Go for the 9mm stack height if you want to keep the front end low. 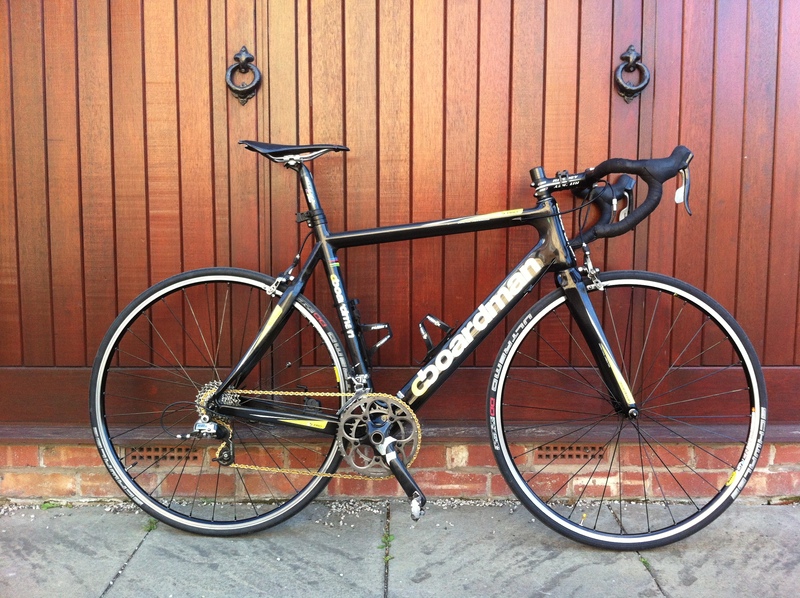 There isn`t a picture of the Boardman! 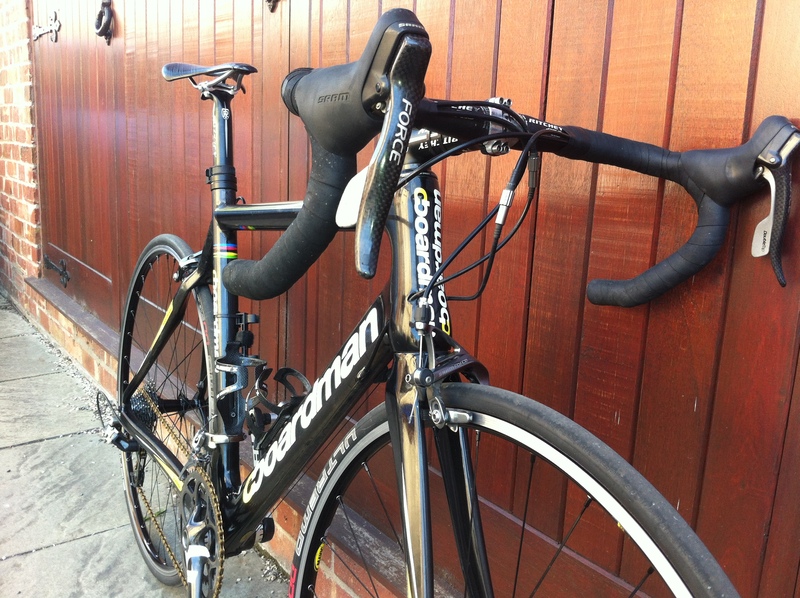 I’ve added a few pics of a freshly washed Boardman – just for you Rick!